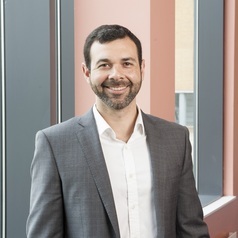 Dr Scott Cohen is Director of Postgraduate Research Programmes for the Faculty of Business, Economics and Law, and he co-ordinates the Applied Philosophy and Society Research Cluster in the School of Hospitality and Tourism Management. Scott teaches on subjects relating to the social science of tourism, sustainable tourism and tourist behaviour. He joined the University of Surrey in 2012 as a Senior Lecturer in Tourism after working as a lecturer and then senior lecturer at Bournemouth University. Scott primarily researches sociological and consumer behaviour issues in tourism, transport and leisure contexts, with particular interests in sustainable mobility and in lifestyle travel. He has published more than 30 journal articles and two edited books since completing his PhD in 2009, including high impact outlets such as Annals of Tourism Research, Journal of Transport Geography, Journal of Sustainable Tourism, Tourism Management and Journal of Travel Research. Scott's current international research collaborations are with Professor James Higham (University of Otago), Associate Professor Paul Peeters (NHTV Breda University) and Professor Stefan Gössling (Lund University, Sweden) on climate change and sustainable mobility, and with Professor Erik Cohen (Hebrew University of Jerusalem) on the mobilities of tourists from emerging world regions. Scott has been awarded as an "Emerging Scholar of Distinction" by the International Academy for the Study of Tourism (2013), and he has given invited keynote speeches at conferences in China, Portugal and Brazil. He serves as a Resource Editor in Sociology for Annals of Tourism Research, an Editorial Board member for Current Issues in Tourism, Book Review Editor for Anatolia: An International Journal of Tourism and Hospitality Research and is a Fellow of the Higher Education Academy (UK). Scott also serves as an ad hoc reviewer for over 20 different journals. He gained a BSc in Biology in 1996 (University of Georgia, USA), a Masters of Business in International Tourism Management in 2004 (University of Queensland, Australia) and a PhD in 2009 (University of Otago, NZ). Scott also holds Postgraduate Certificates in Education Practice and Research Degree Supervision (Bournemouth University, UK).